I successfully ignored the Great American Blowout last year, and I have nothing new this year. But I was stung by being left out of a round-up of stuff to listen to before and after your turkey, so I am thawing out some old favourites here. As an antipasto, in Talking turkey, Greg Laden explained how explorers heading west thought they were in the east and gave the bird its name. The main course went further, with A partial history of the turkey, with Greg Laden again and Nancy Sorrells, a local historian in Rockingham County, Virgina. Why there? You’ll just have to listen. Helping that to go down, Joe Smith explained in Another helping of turkey how the wild turkey is “the greatest conservation success story”. 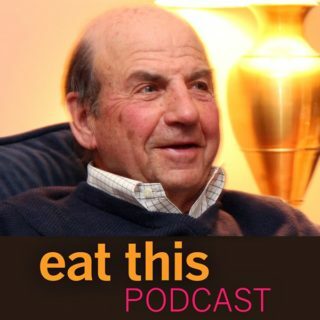 But the real reason for this stealthy, under-the-radar post is to share again Calvin Trillin reading his own, perfect little story about the first thanksgiving, which previously I had hidden away on Patreon. Cover photo by Huangavin – Own work, CC BY 3.0, from Wikimedia Commons.